A brand new word search for you. Enjoy and Happy Halloween! 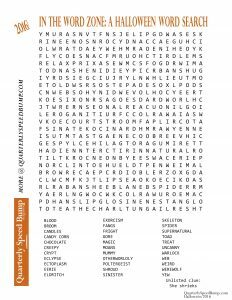 This entry was posted in Holidays, Puzzles and tagged free word search, halloween by Rebecca. Bookmark the permalink.